Dyeing Easter Eggs is a yearly tradition for my family. As my boys get older they are able to do a lot more with the eggs. 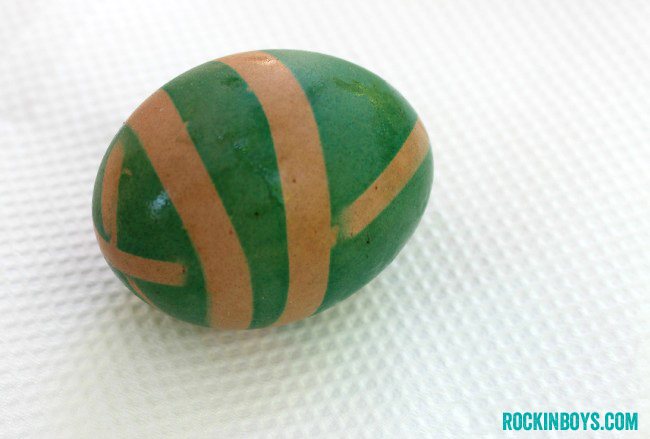 This year I thought it would be fun to try Rubber Band Dyed Easter Eggs. A lot of the produce we get comes rubber banded in bundles. I usually just throw those rubber bands in my junk drawer, so I had a whole bunch of them begging to be used for a project. 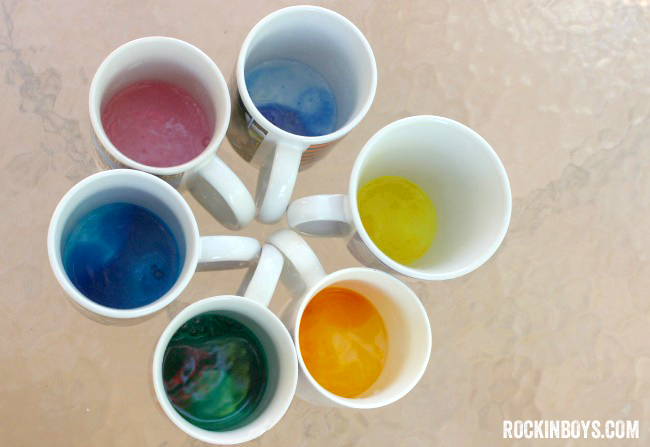 The Happy Egg Co. wanted to share some egg-dying techniques with us and sent a couple of coupons to us so we could pick up some of their great eggs. 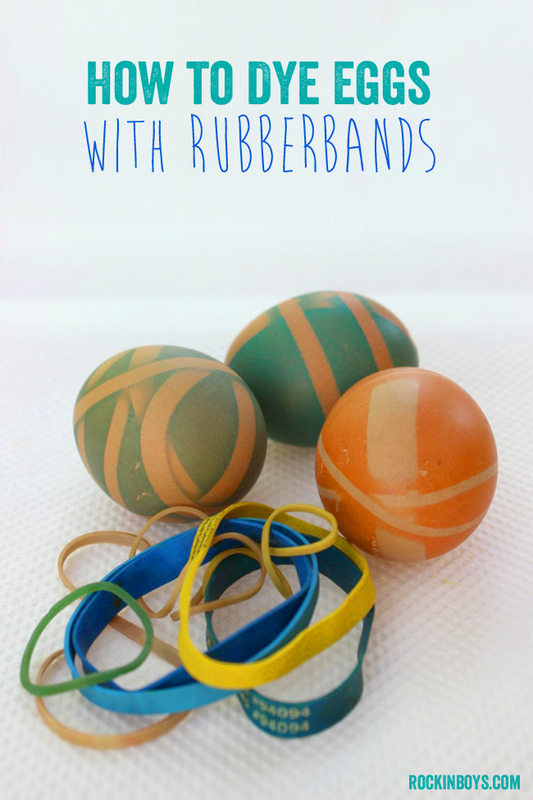 I thought this would be a perfect chance to have some fun, use some of those rubber bands, and make some Easter memories. This is a pretty simple and straight-forward project! 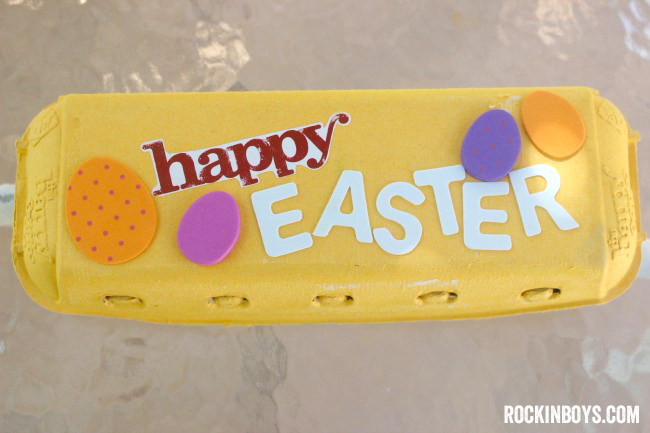 The boys and I loved it and no two eggs turn out alike. 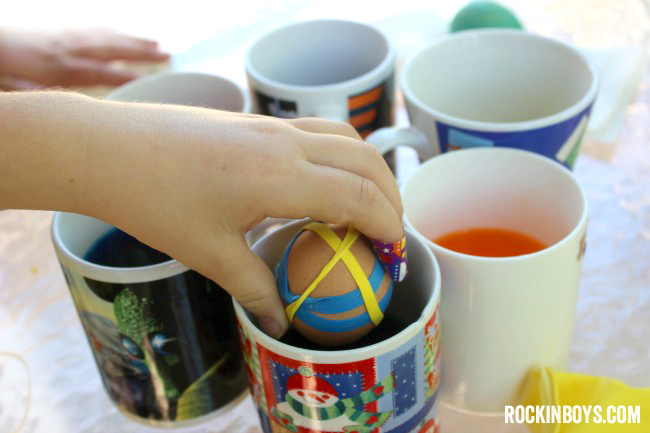 Grab some rubber bands and wrap your eggs. The thicker flat rubber bands stay on the best, so that seemed to be easier for the boys to handle. 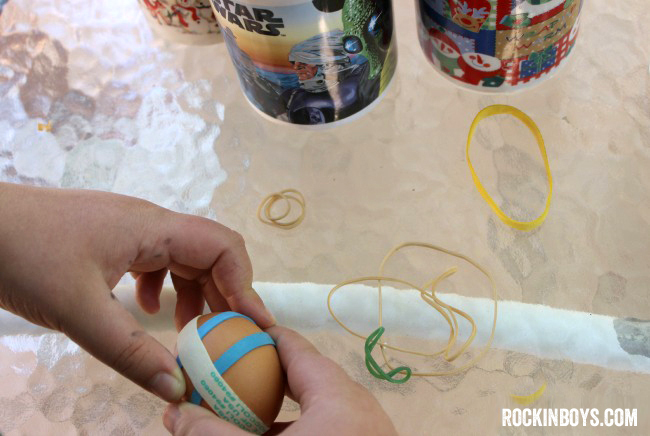 On some of the eggs we wrapped the thinner rubber bands first and then put a thicker one over top to keep them in place. 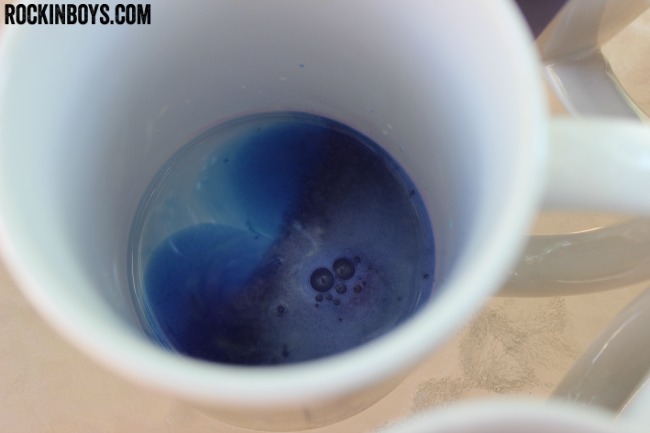 Place your eggs in the dye. 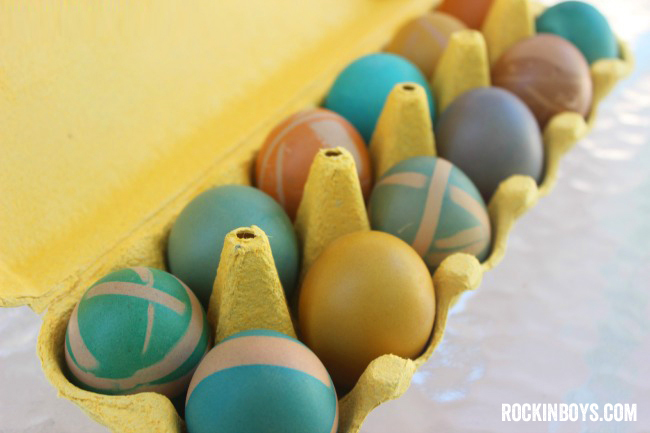 With brown eggs like Happy Eggs it takes a little longer to dye them, but the colors turn out so much more vibrant and jewel-like. Patience pays! After a good long bath in the dye, it’s time for the reveal! Repeat the process and enjoy your really rad designs! 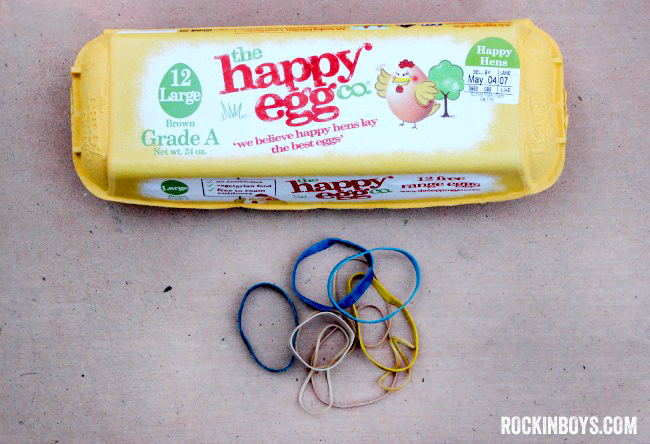 The Happy Egg Company is the only 100% free range egg company certified by Humane Farm Animal Care. We think that treating animals humanely rocks, and if you think so too you can learn more about them on their website.